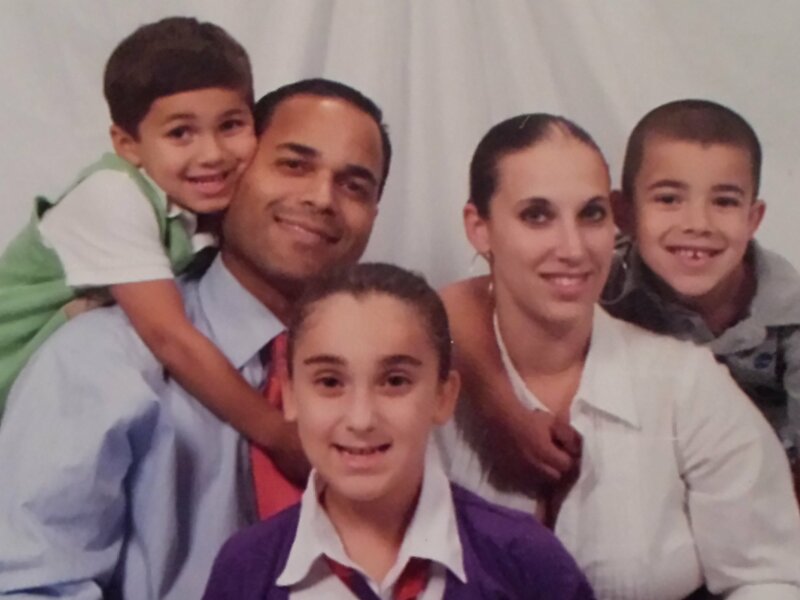 My husband, Victor Melendez is in desperate need of a life-saving kidney transplant. More than 13 years ago, Victor was diagnosed with focal glomerulosclerosis (FSGS), a debilitating disease which attacks the kidneys and causes end stage renal failure. The good news is that I am a match and may be his living donor. Victor is a loving husband, wonderful father of our children Caitlyn (12), Jordan (9) and Jarod (7). He is currently working full time and in addition he is working toward getting his doctorate degree online from the University of Phoenix. Dialysis is keeping him alive and he is hoping that the transplant will happen within the next year or two. As you can imagine funding this life-saving operation is very expensive and few families can meet this challenge without the help and support of others. Even with insurance, there are many expenses that must be paid out of pocket. Some of these are co-pays, deductibles, travel and relocation at the time of transplant to John Hopkins University Hospital in Baltimore and Victor will be on a life-time of anti-rejection medications. This puts our family up against a challenge we cannot meet alone and desperately need your help. To help with this financial burden a fundraising campaign in Victor’s honor has been established with HelpHOPELive, a trusted nonprofit organization that has been providing community-based fundraising guidance to patients and their families for more than 30 years. All donations are tax deductible, are held by HelpHopeLive in the New York Kidney Transplant Fund, and are administered by HelpHOPELive for medical related expenses only. Please consider a contribution. To make a tax-deductible donation to this fundraising campaign, click on the Donate Now button. On behalf of Victor, our children and myself, thank you for your contributions, kindness, support and prayers. My wonderful God-Son, I am praying for a full recovery from this awful illness. May God continue to bless you and your family with on going good health, from this day forward. Marina. We are very sorry to hear this and would love to unite with our cousin! Love ❤️ you! once you choose HOPE everything is possible . My Thoughts & Prayers are with you Victor. May God Bless you & Help you thru this difficult time ! Wishing you all the best in this difficult time.